I was going to followup with last week’s post about train restoration at the Midwest Railway Preservation Society but instead I think I’ll talk about a place and an organization that have both had strong influences on my life. Growing up in southern NJ, in and around the South Jersey Shore, I grew to love the ocean and as college approached I thought I wanted to become an oceanographer or a marine biologist. One of the colleges that offered those programs was the U.S. Coast Guard Academy in New London, CT. As a junior in high school I was selected to attend the Academy’s Project A.I.M, a one week program to acquaint prospective Coast Guard Midshipmen to experience life at the Academy. I loved it and as a high school senior, I applied for admission to the Academy. Unfortunately I was not selected so went off to a wonderful experience at the University of Miami instead. There, my interests changed and education became my interest but I never lost my love of the ocean or the Coast Guard! 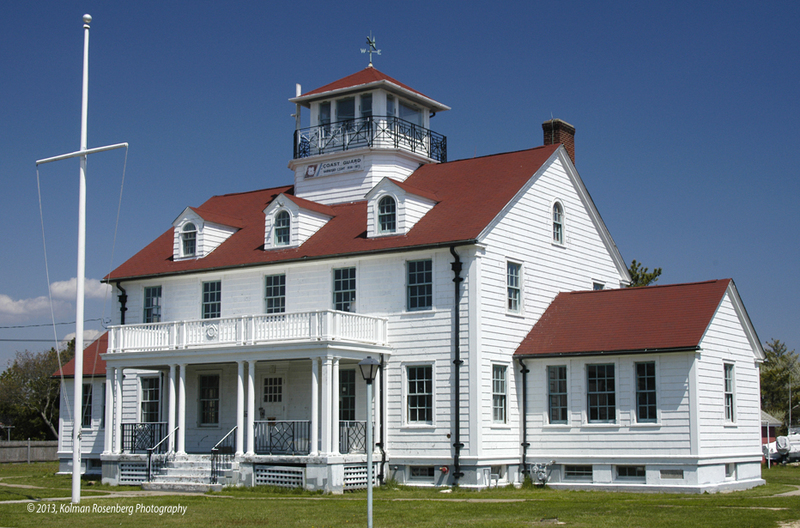 On many of my visits back home to NJ, I make a trip to Barnegat Light, NJ where Barnegat Lighthouse, “Old Barney” and this old Coast Guard Station sit. The station has been replaced with a new station on the bay and this old station is being restored. It’s a beautiful old building that I’m glad they didn’t decide to demolish! This morning I saw this video on Facebook about the “Surfmen of Barnegat Light” and it initiated my thinking about today’s posting. 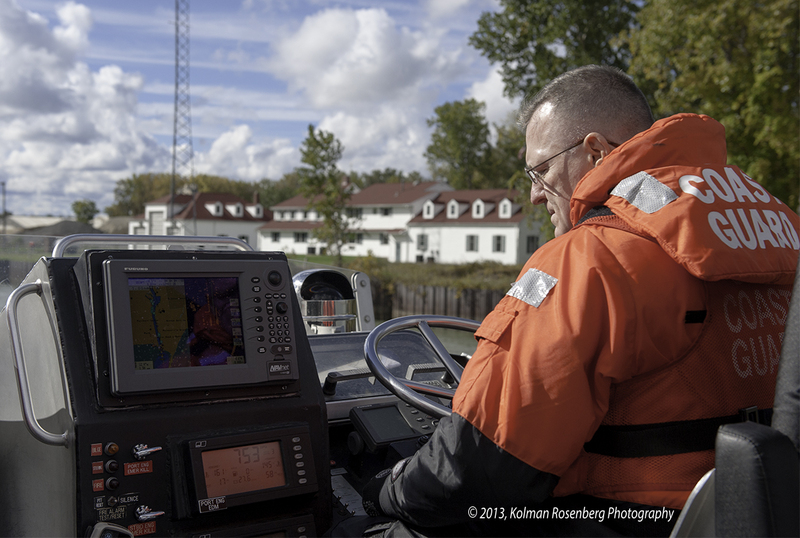 Last fall I worked on a documentary photography project about the Coast Guard and had the opportunity to go out with a crew from Coast Guard Station Fairport Harbor on their 41 foot Motor Lifeboat, the same boat seen in the video. It was a fairly rough day on Lake Erie and I was reminded of something I learned many years ago at the Coast Guard Academy, one hand for yourself and one had for the boat! In other words, one hand was used keep yourself safe and one hand was used for doing your job. In my case, one hand kept me from flying around the boat while shooting, and the other was operating my heavy camera. It was quite an experience and brought to mind the tremendous job that these “first responders” do to protect us! I wrote a blog posting about it last fall entitled “Giving Thanks”. At the conclusion of the training exercise to find a disabled boat on Lake Erie, I took this photo as we returned to the Fairport Harbor C.G. Station. Off the starboard bow of the motor lifeboat can be seen the red roofed station, now scheduled to be demolished and replaced. Unlike the old Barnegat Station, Fairport Station will be torn down. It too is a beautiful old building and I’ll miss seeing it on the west bank of the Grand River, but according to a News-Herald article, it is over 100 years old and I suppose it just can’t meet the requirements of today! I’ve rambled a bit today, but past, present and future ran through my mind today. I hope you found it interesting. This entry was posted in Uncategorized and tagged academy, Barnegat, Coast Guard, coast guard academy, CT, Fairport Harbor, grand river, Lake Erie, lighthouse, marine biology, motor lifeboat, new london, nj, ocean, oceanography, Old Barney, surf men, surfmen, University of Miami. Bookmark the permalink. 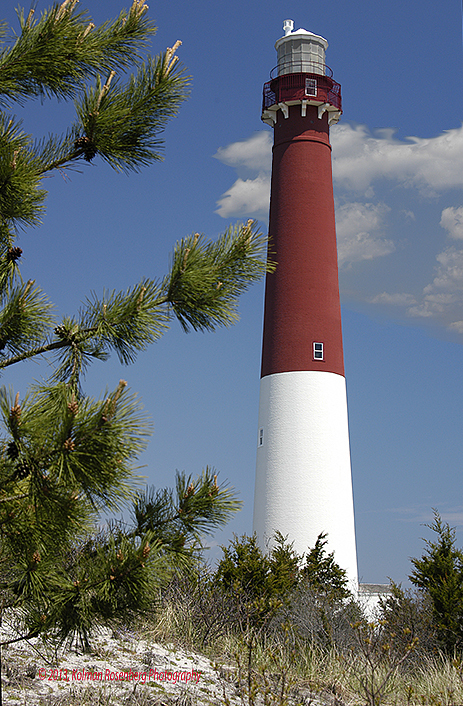 Love the Barnegat Lighthouse pic. Thanks Linnie! It’s one of my favorites too!